With the Rickenbacker Model 325C64 Jetglo, the family business from sunny California presents an authentic reproduction of the 1964 325 electric guitar, which, as "Beatle Backer" in the hands of George Harrison, significantly shaped the sound of the British invasion. Accordingly, the guitar has a semi-hollow maple body and a glued maple neck as well as three vintage single coil toaster pickups and the Accent Vibrato tailpiece. 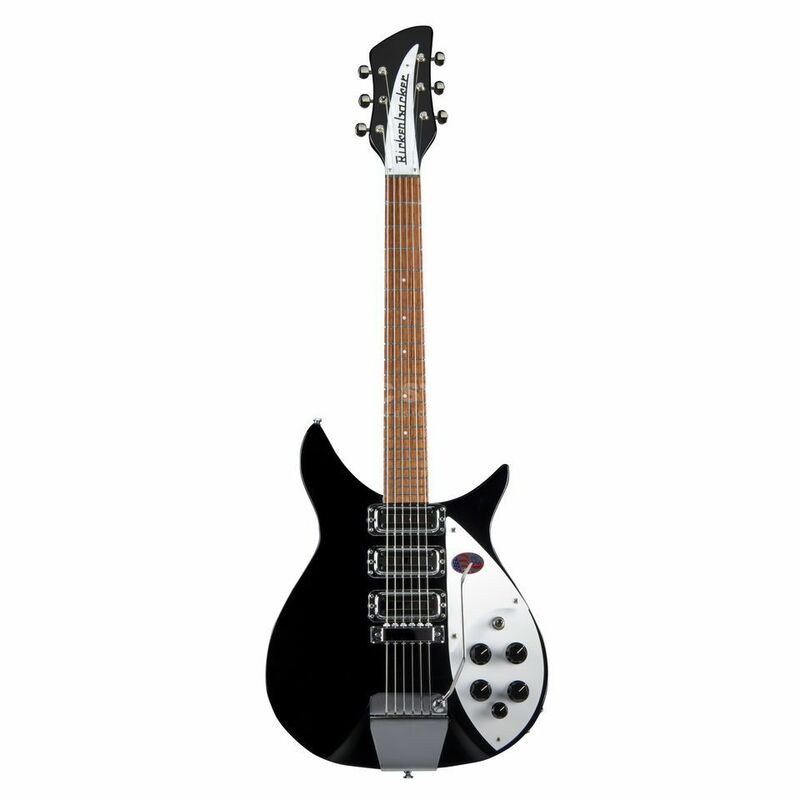 The Rickenbacker 325C64 Jetglo offers comfortable playability with its short 21" scale length. The semi-hollow maple body features three vintage single coil toaster top pickups. Like the original from the wild 60s, the body of the Rickenbacker 325C64 is made of maple, giving the resonance chambers an open basic sound with a light attack. The glued neck is also made of maple and carries a Carribean Rosewood fingerboard with 21 frets and dot inlays. With its short scale length of 21" (533 mm), the Rickenbacker 325 C64 also offers a butter-soft playability that makes even complex chords easy to play. The control panel with double volume and tone potentiometers as well as mix controls and 3-way switches controls the toaster top single coils. Three vintage single coil toaster top pickups with characteristic caps are used as pickups on the Rickenbacker 325 C65 Jetglo. They credibly express the irresistible sound of the original and convince with a sweet spectrum of highs and a transparent, yet warm tone development. A 3-way toggle switch, mix potentiometer and individual volume and tone controls for bridge and neck pickup are available to control the pickups. The classic Accent Vibrato creates gently modulating decorations for melodies and chords. The hardware equipment of the Rickenbacker 325C64 also corresponds to the historical specifications from the mid-1960s. The strings are held on the body by the classic Accent Vibrato, which in conjunction with the Roller Bridge produces gently shimmering tone adornments without any detuning. In addition, Deluxe Vintage Style tuners on the headstock ensure precise tuning. The Rickenbacker 325C64 comes in a Silver Tolex case with a blue interior.